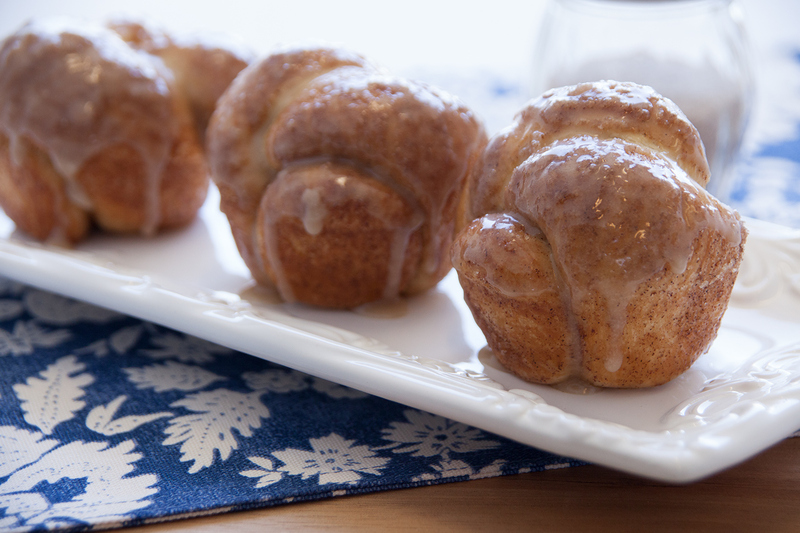 Make your own cinnamon rolls and tie them in knots for a twist on the traditional. Mix cinnamon with sugar. Roll each roll into a 9-inch rope. Tie in a loose knot. Roll each knot in melted butter and then cinnamon/sugar mixture. Place in a sprayed muffin tin. Cover with sprayed plastic wrap and let double in size. Remove wrap. Bake at 350 degrees F 15-20 minutes or until golden brown. Remove from pan and place on a cooling rack. Brush with icing while still warm.